The semi-autobiographical A FAMILY TOUR is director Ying Liang’s reflection on life as an exile within the curious network between China, Hong Kong, and Taiwan. The film follows filmmaker Yang Shu, who made a politically sensitive film in China five years ago that led her to seek refuge in Hong Kong with her husband and young son. Left behind in China is her single mother who has always had a pragmatically supportive relationship with her controversial daughter. 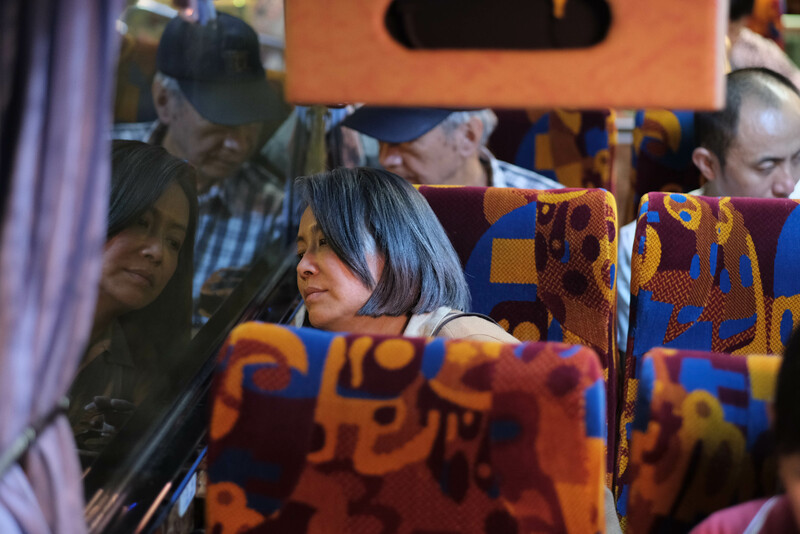 They can’t see each other in person anymore – that is, until Yang Shu is invited to a film festival in Taiwan and they set mother up with a tour group to visit the autonomous nation at the same time. And so, for a few sunny days, Yang Shu, husband, and son tag along semi-surreptitiously around the streets and tourist sites of Kaohsiung. In Taiwan, the family finds it hard to shake off the self-surveilling paranoia they’ve picked up in Hong Kong. There’s an assurance of freedom they can only tiptoe through. But there are dramatic landmines to navigate as well: the fact that the artist-daughter put her mother through un-rewindable stress, that a grandson must learn to interact with a grandmother he’s never known, that the tightening controls in Hong Kong and China mean this may be the last time they see each other again. But instead of emotional explosions, the film is interested in characters’ reactions and the places they find solace: in hotel rooms, under an umbrella, on a park bench, in a diary entry. Ying Liang bakes the film in a resigned, unshakable calm. The film takes deep breaths and doesn’t show emotion. These are characters who have been through a lot, professionally and emotionally. Who are stronger as a result. But who are tired. So under the gentle light, they take stock of past actions and enjoy the air. * All Taiwan Film Showcase screenings at UCSD are free for UCSD staff, faculty, and students.